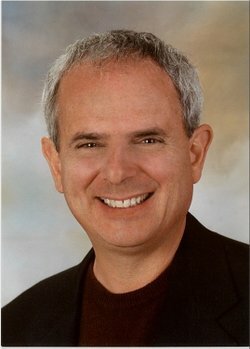 Hale Dwoskin, author of The Sedona Method and one of the teachers from the movie The Secret has created a free 19-minute audio program for me to share with you. Our intent in providing this freebie was to help people who’ve been following my passive income series by giving them some simple techniques to release limiting thoughts, feelings, and beliefs, especially those that can interfere with success and abundance. However, the recording is also general enough that anyone can benefit from it. It will teach you how to release blocks, obsessive behaviors, negative patterns, and more. I first met Hale in 2009, but I was introduced to the Sedona Method years before by my friend Vicki, a Sedona Method trainer. If you’ve attended one of our first two Conscious Growth Workshops, you may have met Vicki since she was one of our staff helpers. I’m not an expert on the Sedona Method, but so many of my friends swear by it that I’ve decided to give it a more in-depth look. I’m currently going through the Sedona Method Supercourse, which includes 20 CDs worth of material. It teaches the basic Sedona Method techniques, and it has 3 other modules to applications to improve your finances, relationships, and health. I’ve only gone through 2 CDs so far, but I’m already finding it pretty interesting. If you like the free audio and you want to explore the Sedona Method in more depth, we’ve set it up so you can get the Sedona Method Supercourse for a discount off the regular price. The ordering links are at the end of that page, but the page itself is a lot more educational than salesy. It shares a lot more detail about the Sedona Method, including some how-to steps. Please let me know if you like this freebie since Hale is willing to create and share more free audios if there’s enough interest. I’ll probably be hanging out with him next month in British Columbia, and I’ll be happy to share your feedback with him.